Published on 23 August 2007. 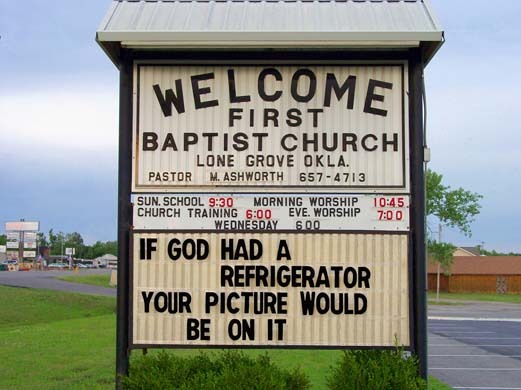 From a great gallery of photographs on Guardian Unlimited: Reverent Humour. 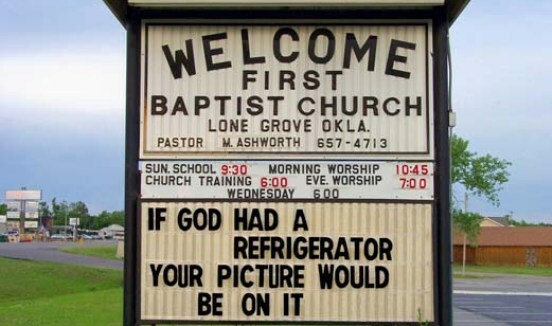 It’s great when religion feels able to take the piss out of itself, it kinda saves the rest of us the hassle. This 1,199th post was filed under: Headliner.